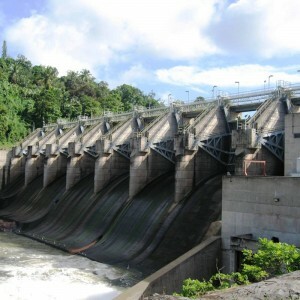 The Loiza Reservoir is the principal source of water supply to Puerto Rico’s metropolitan area. The reservoir was dredged in the late 1990s and is expected that dredging will be required every 20 years. To reduce the sedimentation rate, the firm developed a sediment management procedure to pass the greater part of the sediment of a flood event trough the reservoir. The developed procedure includes forecasting inflow and timing of gate operations to draw down the reservoir during the onset of flood events, thereby passing much of the flood borne sediment load through the reservoir. Simulations indicated that this strategy would reduce the sedimentation rate by 50%.